Frenchtown is our smallest park in our system. It is a more urban space located along 2nd Street in the Frenchtown Neighborhood. 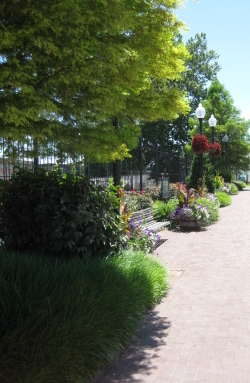 The park space consists of a sidewalk with special paving and seasonal landscape beds historic-style lamp posts and a Frenchtown Neighborhood interpretative sign.